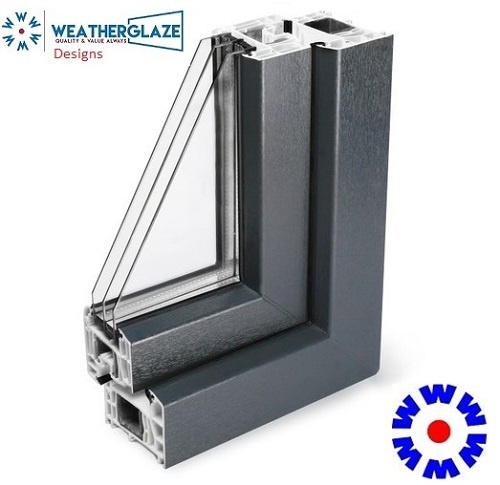 Grey windows from Weatherglaze are available in double and triple glazed systems. Over the past decade homeowners are focusing on insulation, security and appearance. Gone are the old and dated colours and in are the more modern colours. The modern colours are grey, blue, cream, red and black. White uPVC windows will always be the most popular as white is a neutral colour. It is very important to adhere to the ratings, as this will save you lots of money in the long run. The majority of replacement window companies are very good and will give you advice on all these ratings. Weatherglaze Designs is one of the old companies in the industry and very well respected. 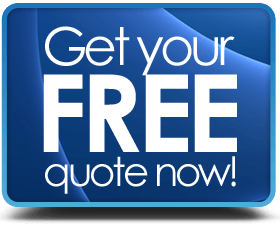 Make sure you get a quote from them. Weatherglaze windows will give you everything you want in a window. Style, colour, fire-escape and peace of mind. Remember one of the very important factors of replacing your window is the installation. If the installation is not carried out correctly the everything else is futile. After you have placed your order for new windows, there are two more important steps. These are the survey step and the installation of the windows. You have decided to replace your windows. Now you are wondering if your new windows should be in the grey colour. The colour of the windows should match well with the exterior theme of your home. The classic white windows still dominate. However, more and more homeowners are choosing grey windows when it comes to replacing the old windows. There are many reasons why grey has caught the fancy of homeowners when it comes to replacement windows. Grey is not too loud or too dark, making it perfect for the windows. Homes and buildings are painted in subdued colours because bright colours do not suit such large structures. You may also get in problem with the local building guidelines if you veer away from the recommended building exterior colours. A grey window matches well with this type of house exterior theme. It is not too dark either. Homeowners prefer this colour when they want to avoid deep dark colour for their windows. Install grey windows if you think black windows will not work well with your house. The white window has been used since long so it looks old and standard. It has its place but now most homeowners go for the grey replacement windows. 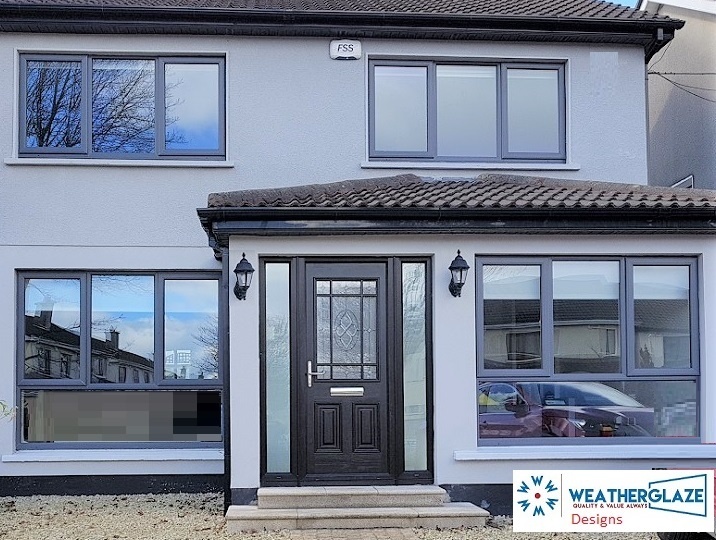 A home with grey colour windows looks modern and stylish. If you have decided to replace your windows, install grey uPVC windows. It will change the appearance of your home for better. With a simple dash of grey, you can turn even an old house looking new. Transform your property from traditional to modern. Grey windows create good contrast between the windows and the wall surface. The clean and clear glass looks beautiful in a grey window frame. Give your house facade a calming effect. The contrast is not too high or too low. It is just at the right level so it suits all types of buildings. Grey windows are available in various shades of grey. You are not limited to one type of grey. Take a look at various shade options in this range of windows. Some of these options include light grey, silver grey, anthracite grey, slate grey, cedar grey, olive grey and beige grey. Most of these colour options simply indicate the level of greyness while others have slight tint of another colour or effect. Call now if you want to see all these grey shades and effects before taking the final decision. A window expert will visit you with the colour samples. The professional will also explain you the features and benefits of using grey uPVC windows. Take your time to decide. Place the order when you are ready. Grey uPVC windows are energy efficient and help reduce room heating expenses. Reduce your energy bills by installing these energy efficient windows in your home. If you are planning to transform an old property, do so by installing new energy efficient grey uPVC windows. Give your house a makeover and increase its value. The popularity of grey windows has been increasing so you will never feel out of sync with the latest trend. Install uPVC grey windows to replace old windows.